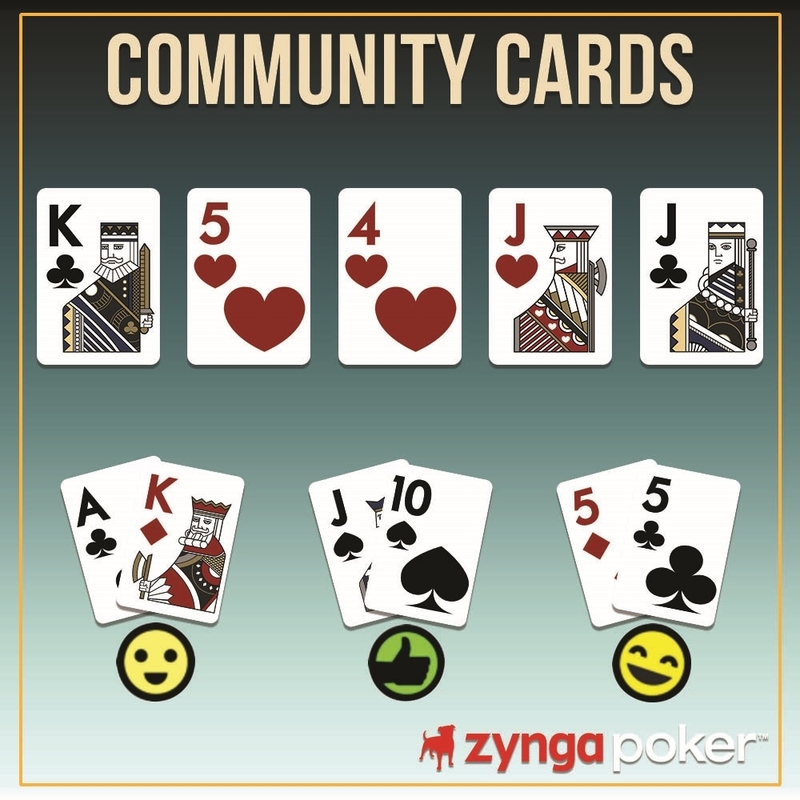 Which Poker Hand Is Most Likely to Win? Welcome to our 37th Poll Event! Cast in your votes by clicking the emoji of your choice (Agree, Like, and LOL) and we'll grant you a Chip rewards! Don't forget to send us your Zynga Account ID or UID on this LINK so we can give you the reward you deserve. You can check the instructions on how to get your Zynga Account ID or UID here. This poll event starts on Monday 2017-08-14 12:00PM (noon) PST and will end on Sunday 2017-08-20 11:59PM (midnight) PST. 5-5 it will become full house. 55 full house beats flush. A simple reminder, please enter your Forum names and UID in the form provided above, not your email address so we can easily credit your reward. Thank you.